After experimenting and testing various macOS 10.13 High Sierra Beta Builds, Apple has officially released the most-wanted macOS High Sierra 10.13 Final Version at the iPhone event this last week. Mac device users can Free Download macOS High Sierra 10.13 GM (Gold Master) with Build # 17A365 and macOS High Sierra 10.13 (Supplemental Update) with Build # 17A405, Xcode 9 GM (Build # 9A235), iOS 11 GM (Build # 15A372), tvOS 11 GM (Build # 15J381), and watchOS 4 GM (Build # 15R372) officially and directly from Apple. 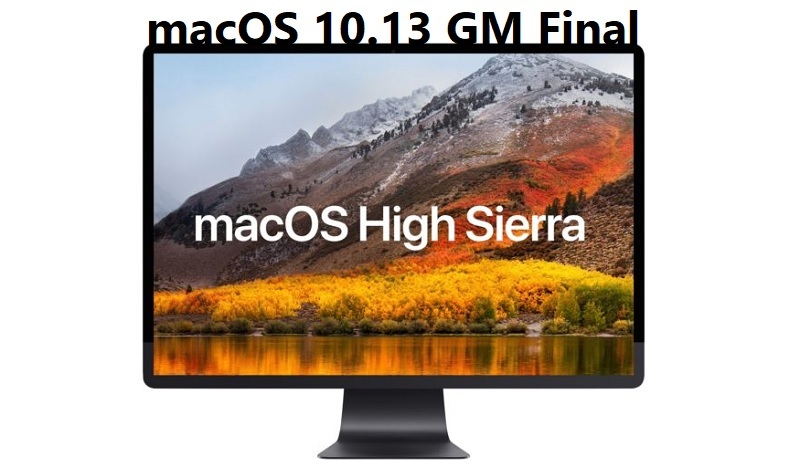 We are here also sharing the Direct Official Download Links of macOS 10.13 High Sierra GM Final DMG Files for a clean installation with iTunes software on supported macOS-powered PCs and Laptops. Apple has made several performances, security, features improvements and enhancements and as well as bug fixes in its latest macOS 10.13 GM Final Build for Mac devices. 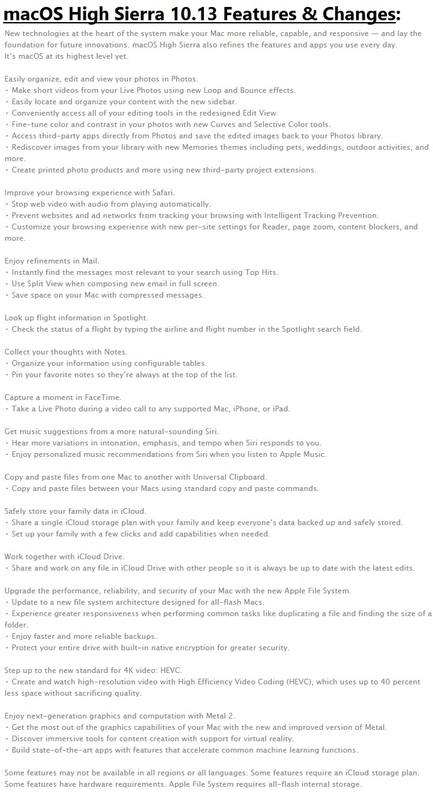 The list of all new features, functions, changes, and optimizations can be read below. An expanded sidebar. At the center of everything. Bring even more life to your Live Photos. Capture the moment in FaceTime. Expand your search with Spotlight. Get a boost with new technologies. HEVC. The new standard for video. iCloud storage plans. With room for the whole family. Intelligent Tracking Prevention. Keep your browsing to yourself. Keep important notes at the top with pins. Let Siri be your personal DJ. Metal 2. A graphics game changer. More ways to work with third-party apps. Now you can organize your photos in a flash. Perfect your best shots with advanced editing tools. Photos. More ways to edit. More ways to organize. More ways to wow. Relive your favorite moments with new Memories. Say goodbye to videos that auto-play. Share with anyone right from iCloud Drive. Siri gets even more expressive. Take note: Now you can add tables to Notes. The People album gets even better with faces. Top Hits. A smarter way to search in Mail. Virtual reality for Mac. It’s a whole new world. Your favorite apps and features get a boost, too. Your favorite websites. Tailored to you. By you. Resolves an issue where email messages couldn’t be deleted from Yahoo accounts in Mail. Fixes a cursor graphic bug when using Adobe InDesign. The latest macOS High Sierra Final GM (Golden Master) Version is compatible with following Mac devices for installation, upgradation, and updation. How to Install macOS High Sierra 10.13 without App Store? Apple's Mac Computer and Laptop users can perform a clean offline manual installation of macOS 10.13 Final GM Version with iTunes for Free. Mac device users just need to Free Download macOS High Sierra 10.13 .DMG Files via Direct Links / Torrent Links available via third-party below. But before you move forward, please make sure to backup all your device data using iCloud or iTunes software.